With their masterplan ‘A dedicated State of Mind’ KettingHuls and Bureau B+B won the competition ‘Stay Grow Play’ organized by Phidias Community Cooking. 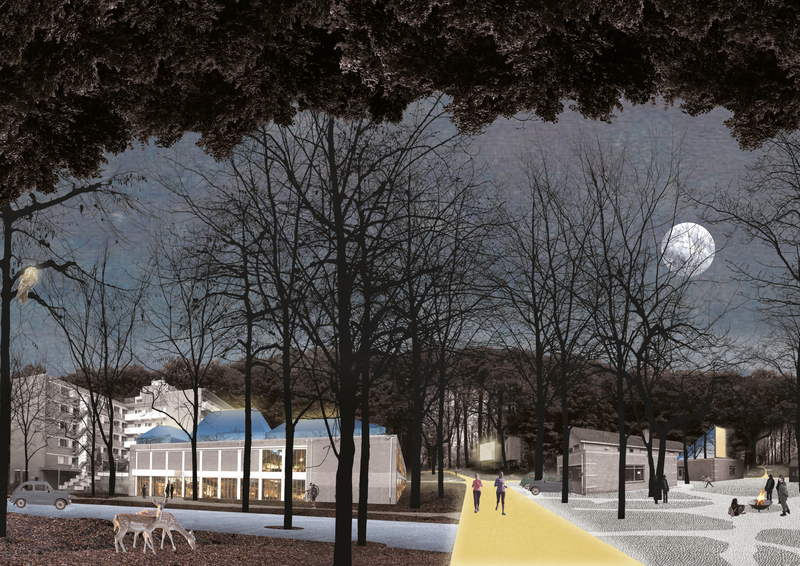 The assignment was to develop a transformation plan for the former estate in Sittard to house Watersley Sports+Talent Park. Watersley Estate, on the Kollenberg in Sittard, knows a rich history: during the 17th century it was an estate, 1876 it became a monastery and since the 70’s it served as a care facility for mentally disabled people. In the coming years the site will be redeveloped to become a ‘Sports+Talent Park’; an international residential campus for sports-talents training in the sport zone of Sittard-Geleen and Beek. To develop the skills, physical characteristics and mental abilities required for every challenge, calls for a lifestyle of sacrifice and meticulous preparation. A dedicated state of mind: a favorable balance between the physical and the mental is the ultimate goal in the development of the individual. 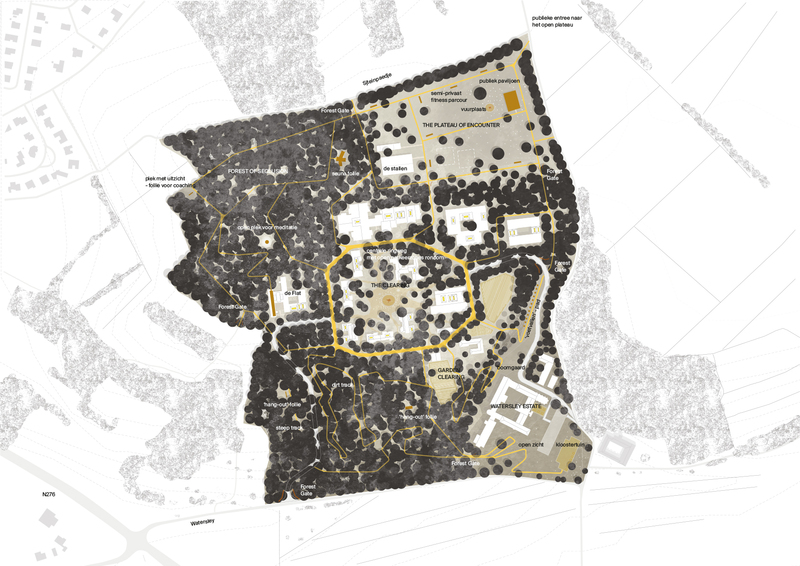 The masterplan of Bureau B+B and KettingHuls presents Watersley Sports & Talent Park as the top-notch location for mental relaxation. A refuge for focused introspection, where you can break free from the physical, to discover your inner strengths.